On September 15, 2011, I’d created Iowa City Website Designers and didn’t develop the site beyond the initial default pages and “Hello World” post. My main goal was to reserve the domain name for later development. As a result, the site became buried on page 9 (position #95) out of 51 million results on a search for the desired keywords (iowa city website designers). So, this past week, I began a redesign of the site and started working on SEO (search engine optimization). Using my own proprietary and organic SEO promotion methods, a week later, the site is on page 2 (position #19) out of 59 million. The pages showing these results are below. A a climb of 76 positions in the top 100 is a significant one, and that’s only one week into my promotion of the site — without really having invested much time. My organic promotion methods are considered “white hat” and fully within the guidelines of all major search engine services, which means they won’t get a site black listed. I’m looking forward to seeing how well the site can perform in search results for other keywords. For now, I’m just working on the targeted keywords in the chosen market. I’m planning to use the site to help showcase and promote the work of local web designers. If you’d like to be featured on the site, just let me know. 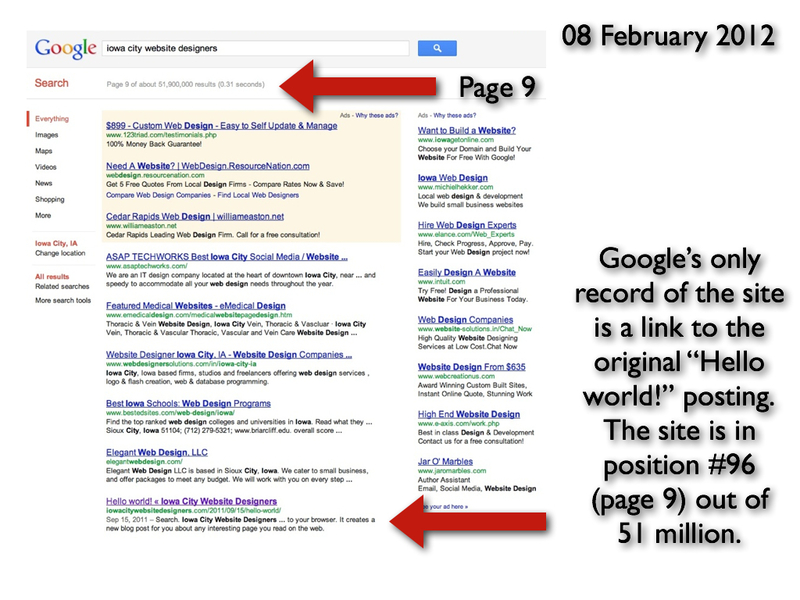 Below are the Google search results from 8 February 2012. 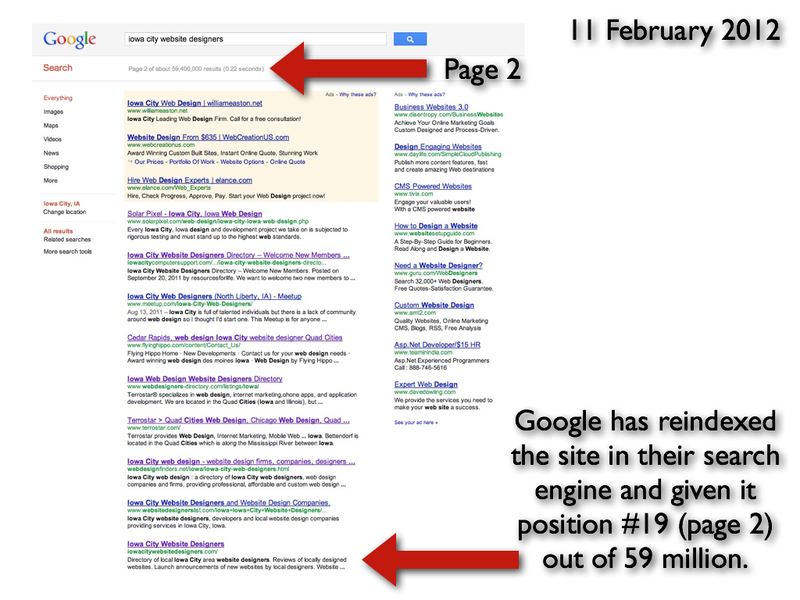 Below are the Google search results from 11 February 2012.